Meet Cedric! He was found on someone's porch near 49th Street and a kind soul took him to the vet the very next day. 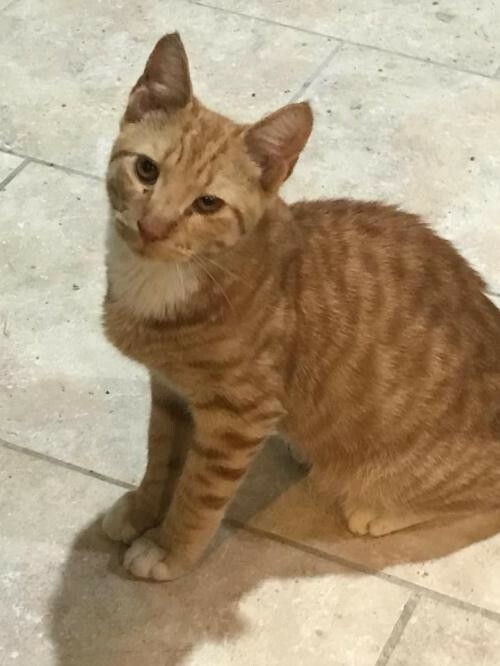 This ginger boy is social, playful and so very handsome. He would also be fine to be an only cat. He's neutered, up to date on all vaccinations, and negative for FIV. He can't wait to find a foster or a furrever home. Could it be you? If you want to meet this sweet cat, please submit an application on our website: application. All our cats are up-to-date on vaccines and ready to go home. And if you can't adopt but would like to help, fostering is always an option! You can also schedule a play date and meet some of our affectionate rescues by visiting Le Cat Cafe. Schedule a visit today!